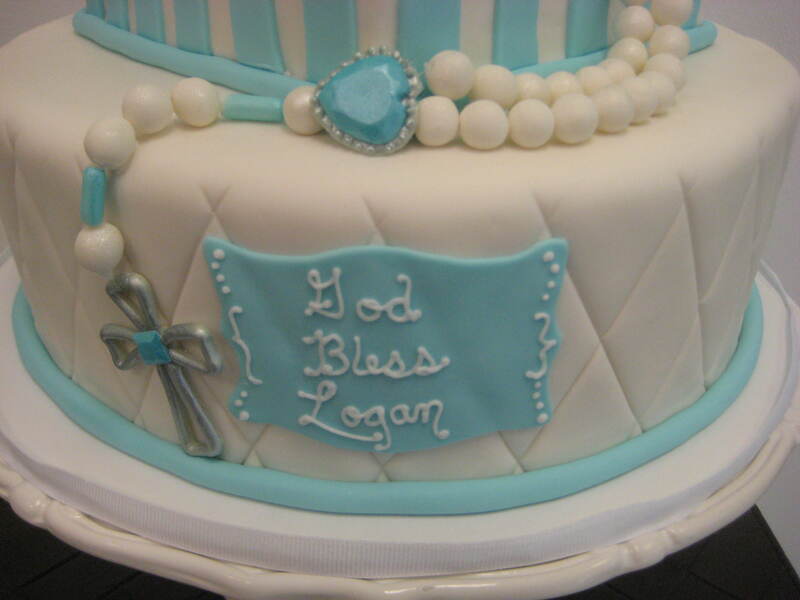 A Very Special Christening cake for Little Logan. 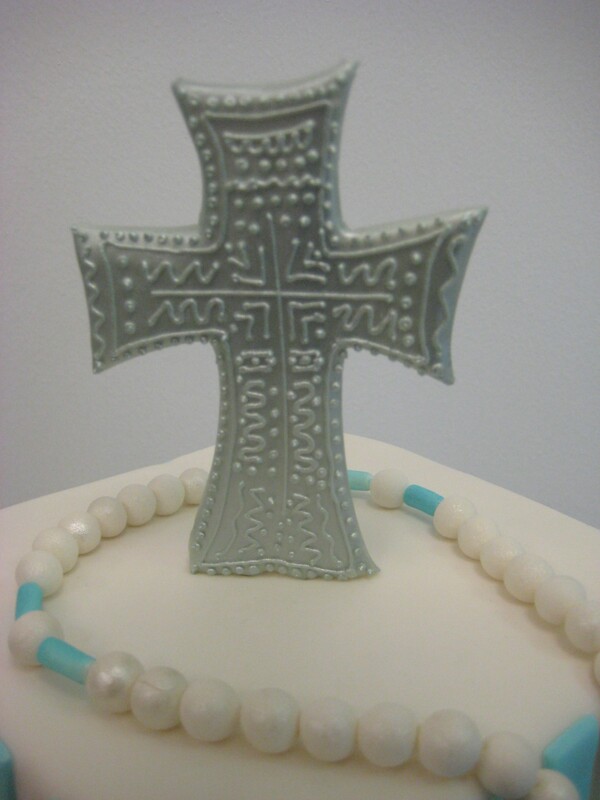 The Rosary is handmade with gumpaste, it was accurate! They could take it off the cake and use it! The Cross was hand piped and then airbrushed silver!